with QuickIntenseWash, TwinDos, CapDosing, and WiFiConn@ct.
with WiFiConn@ct, FragranceDos, and SteamFinish. ​Perfect results: The steam on honeycomb surface helps the iron glide smoothly and effectively over the laundry. 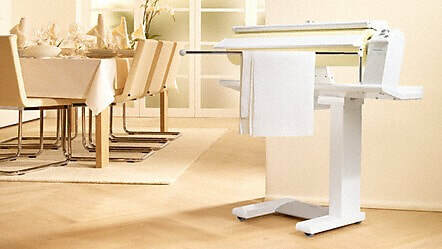 Rotary ironers- Shorter ironing times, more time for yourself!